Helllllo there! Today I have some exciting news. First of all, it actually feels like Fall here in Boston. All of the North East, actually. It's putting me in a better mood and making me feel all crafty and inspired. Spellbinders October Small Die of the Month Club is giving me all of the Fall feels and I'm so excited to share it with you here today. If you're anything like me, you've been waiting for Fall since last Fall. 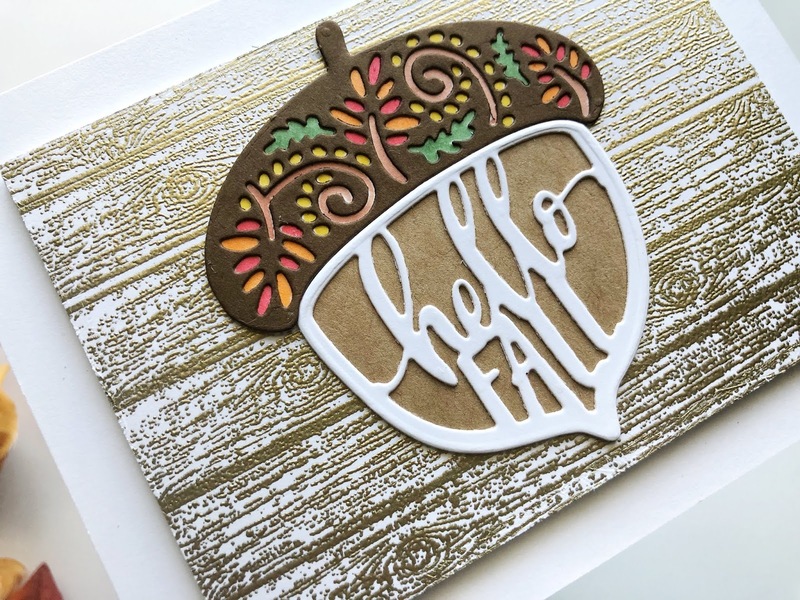 This acorn three piece die is the perfect way to welcome the best of all the seasons. I love how versatile the die is. It can be used with or without the word die and I added a piece of card stock to the back side of the top portion of the acorn so that I could color in the little leaves and such but if you wanted to keep it open so you could see through it, I think it would add a really beautiful elegant look to the die cut. 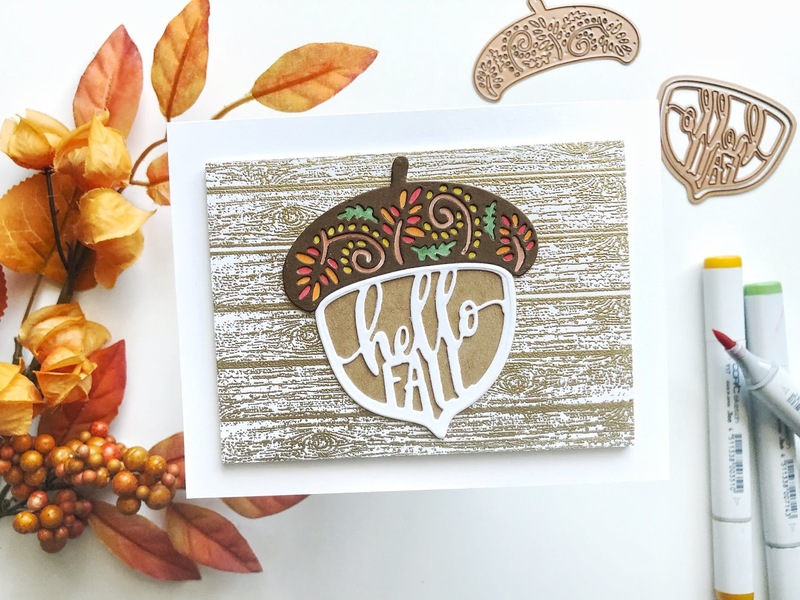 You can find the Spellbinders Small Die of the Month club HERE. Thank you so much for stopping by! I'll see you soon!